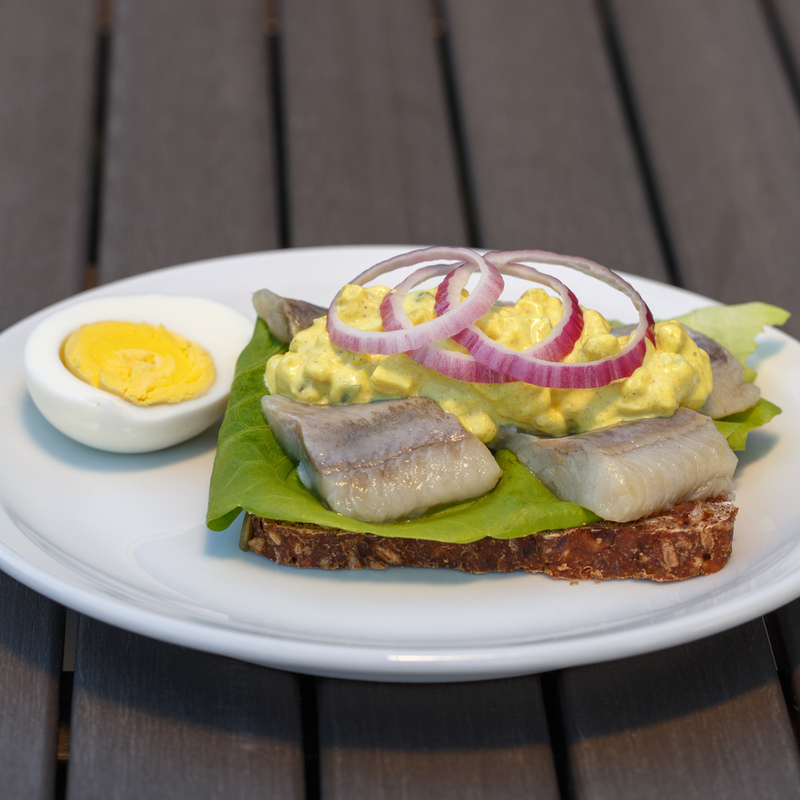 The lunch always starts with the fish dishes: pickled herring, smoked or/and gravad salmon (lax). Followed by the cold cuts like rullepølse, head cheese and things like hardboiled eggs and tomatoes. Then the warm dishes will be served: porkroast (flæskesteg) with picked red cabbage, liver pate with bacon and mushrooms and fried fish. Served on rye bread, with sliced raw onions. Another favorite is adding curry salad on the herring, and maybe also some hardboiled egg. This gravad lax is to die for. It is so much better than any store bought kind I have ever had. Served with mustard and pickled beets. Served with raw onion rings. My favorite warm dish, served with crispy bacon and sautéed mushrooms or with pickled beets. Most of the dishes above is served on Danish rye bread or some kind of White bread. After all this food, why not have some dessert? And of course it has to be Risalamande Danish rice pudding with cherry sauce.